These awards are designed to cover radiocarbon dates or laboratory fees, for instance those incurred in DNA or isotope analyses. Please email IQUA Secretary, Benjamin Thébaudeau (thebaudb@tcd.ie), to find out whether a particular analysis will be considered for an award. It is envisaged that the awards will be split among two or three applicants depending on the number and strength of applications received. All paid-up IQUA members of at least one year’s standing may apply. Please contact IQUA Treasurer Kieran Craven (cravenk@tcd.ie) if you are unsure whether your membership fees are up to date. Submissions for the IQUA Research Awards open in the month of October yearly. An email is sent to our members over our mailing list. IQUA proudly organises the Bill Watts 14CHRONO Awards, in memory of W. A. Watts, a founding member of IQUA who passed away in 2010. The Awards are generously supported by the 14CHRONO Centre at Queen’s University Belfast. The Awards pay for a number of AMS radiocarbon dates for current postgraduate members of IQUA, with each winner describing their research and the use of their free dates in short articles in the IQUA Newsletter. Applicants must be working towards a Masters or PhD degree and be a paid up member of IQUA for a minimum of six months when the application is made. Please contact IQUA Treasurer Kieran Craven (cravenk@tcd.ie). Submissions for the Bill Watts 14CHRONO Awards open in the month of October yearly. An email is sent to our members over our mailing list. Winners of the 2018 Awards (including the IQUA Research Awards) were Ros Ó Maoldúin, Anthony Beese, Ellen O’Carroll and Robin Lewando. Winners of the 2017 Awards (including the IQUA Research Awards) were Ros Ó Maoldúin, Anthony Beese, Rosie Bishop, Martha Coleman, Niamh Millward and Michelle Curran. Winners of the 2016 Awards (including the IQUA Research Awards) were Eugene Farrell, Pete Coxon and Trevor Northage, Ciara Fleming and Alwynne McGeever. The Best Postgraduate Presentation Award at the 2017 Spring Symposium, hosted by School of Archaeology in UCD was Sabrina Renken for her talk entitled: Foraminifera: More than ONE proxy: An example from the eastern North Atlantic. The Best Postgraduate Presentation Award at the 2016 Spring Symposium, hosted by School of Geography and Environmental Science, Ulster of University (Coleraine campus) was Edward Lockhart for his talk entitled: Glacial sculpting and post-glacial drowning of the Celtic Sea. 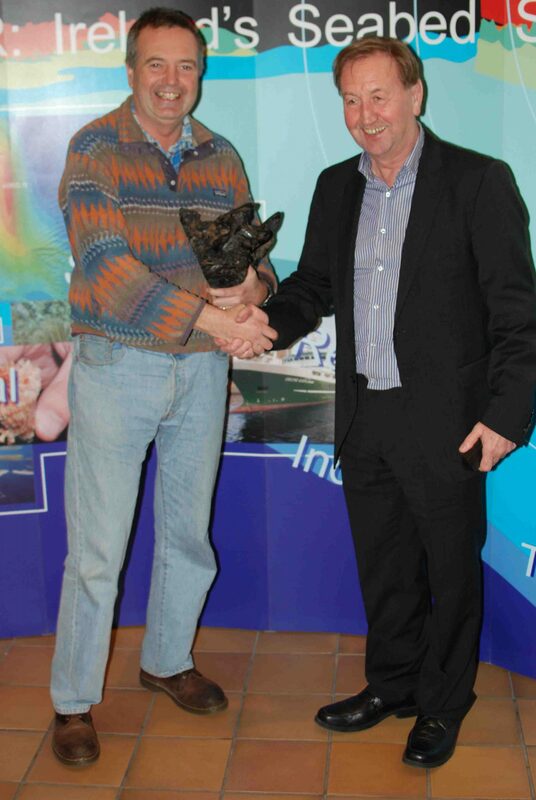 The inaugural Frank Mitchell Award for Distinguished Service to Quaternary Research & Teaching was presented to Prof. Pete Coxon of Geography, Trinity College Dublin, December 2011. Prof. Coxon earned his BSc in Geology & Biology at the University of Sussex (1973-1976) and undertook research for his PhD in the Subdepartment of Quaternary Research in Cambridge University (1976-1979) under the supervision of Prof. R. G. West. Prof. Coxon has been at Trinity College Dublin since 1979 where he has made major contributions to our knowledge of the evolution of the Irish landscape from the Tertiary to Quaternary periods. Amongst his many other significant contributions are his work on the geomorphology and landscape evolution of parts of the Indian Himalaya and his recent roles in both IQUA and INQUA, the International Union for Quaternary Research. The Award was presented by Prof. John Lowe of Royal Holloway (University of London) at a reception held in the Geological Survey of Ireland offices in Beggar’s Bush, Dublin, following the IQUA Annual Symposium on Friday December 2nd 2011. Prof. Coxon was presented with a beautiful sculpture of bog oak by Kevin Casey. The oak itself has been radiocarbon dated to 5600 BP.